When you drive from KL along the highway to the North you'll pass the little town of Tapah. It's a laid-back town. It has several streets, mostly filled with sundry and trading shops, textile centres, local and fast food restaurants, a market square and several banks. Here you get off after paying the toll, when you want to go to the Cameron Highlands. A long and winding road lays ahead of you. It's a very beautiful road with lots of curves. 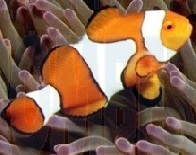 It is one of the finest pieces of nature, which you'll see. Occasionally you see along the side of the road a stall where the Orang Asli sell fruits (eg durian) and honey. Once you must decide to stop at such settlement of these original inhabitants of Malaysia and have a look where you can get a brief insight into their lives here. The Orang Asli doesn't mind it. The first town, when you're up in the highlands, is the town of Ringlet. 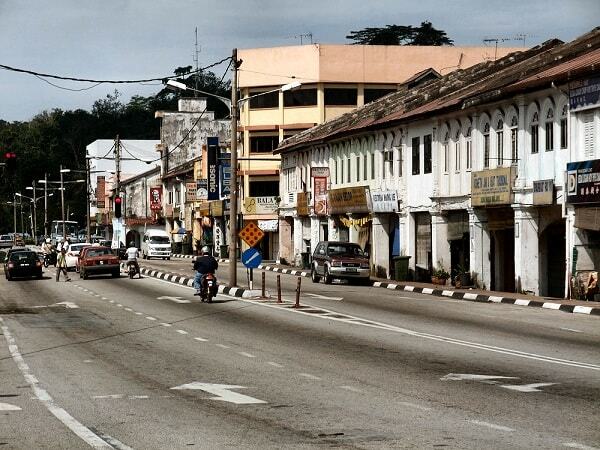 In the old days Tapah was an important town. It's situated on the old highway (old trunk road) to Ipoh, which is replaced by the North South Expressway (NSE). Many tourists don't visit this town anymore. They take the road right from the highway to the Cameron. The train station is about 10 km from the center of Tapah. It's called Tapah Road. Many travellers boarded at this the station and then they took the bus to the Cameron Highlands. In the old days, visitors relying on the railroad as their transport to reach Cameron Highlands will have to stop at this station. If you want to travel by train to the Cameron it is recommended to look at the time of arrival and departure of the train, before you travel by train. Currently the departure of the train from Kuala Lumpur is around midnight. However, with the opening of the North-South Expressway the rail travel has become less popular. The bus station is in the center of the town, close to a fast food restaurant. From here you can easily travel to the Cameron or to Kuala Lumpur / Penang, if uou aren't travelling directly to Tanah Rata. 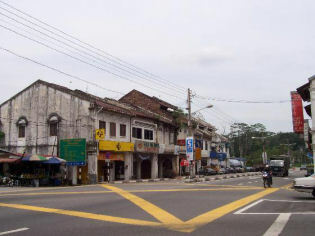 Nowadays Tapah a quiet town on the "old trunk road". It's not too big and the shops are located along the old highway, which goes through the village. It is still the center for many in the region and it's still a departure point to the Cameron Highlands. Tapah is also the administrative center of the region of Perak, known as Batang Padang. The offices of the administrative center is housed in old colonial buildings. The Batang Padang river flows through the town. It has a muddy river, because it comes from the Cameron Highlands, and has much clay in it to take to the plain. Waterfalls, recreational parks, jungle trails, mountain peaks, hot springs and even the traditional route to Cameron Highlands, are all close to this town, which is about 67km south of Ipoh and 160 km north of Kuala Lumpur. Not far from Tapah and clearly seen from the North-South Expressway is the Lata Kinjang waterfall. 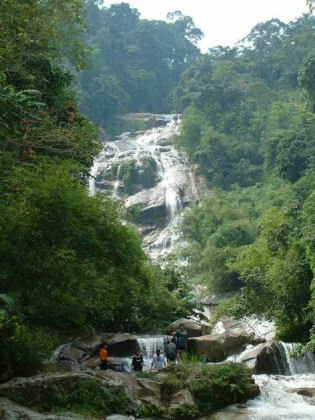 It is about 25km away and vies for the top spot among Malaysia�s highest waterfalls. This waterfall is about 265 meters of altitude downwards. It is impressive to see. At weekends there are many day trippers. Try it on a weekday to go. You have a picnic here, but there are also small local restaurants where you can go. The lower part of the waterfall is a bit hidden by the trees. There is a paved path that you are on the left side of the water raises up near the waterfall. There is a suspension bridge, which brings you to the place where the water literally falls straight down. The picture shows only a part of the waterfall. The starting point to the waterfall, the toll collection point, when you come from the highway. If you have paid, you take the road to Tapah. In Tapah go right towards Kampar. If you have driven 10 km to the north, you'll see signs with the name "Chenderiang". At the next intersection you will see signs with the name "waterfall". Turn right and you'll come to a small village. In the center you have left. This is the way to Sungei Siput South, but before you reach the village, you'll see signs again that points to the waterfall. Everything is subject to change. Also, these departures and prices. Let you be informed a day in advance and check the times and price. Would you be so kind as to e-mail me the changes? Bus departs to Penang from this bus station. 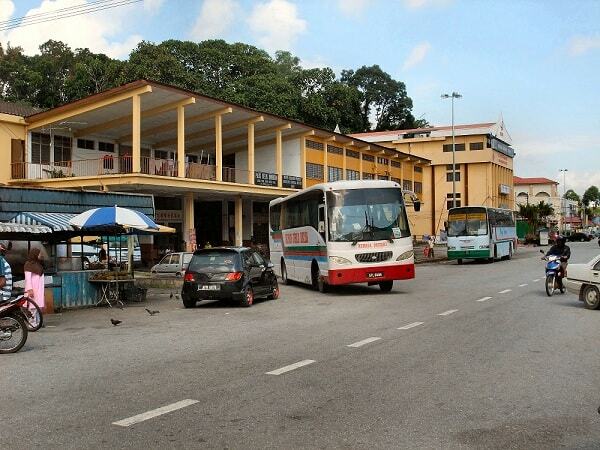 The bus stops in Ipoh and Butterworth. Nevertheless, Tapah remains as an important transit point to Cameron Highlands as the journey to the hill resort starts from here.